I was given this Robert Sorby thread chasing set to test and I firstly noted that each set of thread cutters had a comprehensive set of instructions with information on which woods are most suitable; diagrams showing how each tool should be used, and all the necessary steps for cutting internal and external threads on your turnings. The leaflet also explains the movements needed to strike a thread, which would serve as a useful aid while practising thread cutting. The kit also contains the 'Focus on Thread Cutting' DVD, 973 thread & sizing gauge and one pair of 890H thread cutters (either 10, 16 or 20tpi). 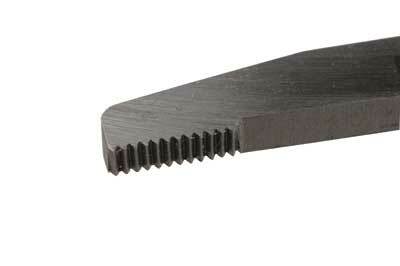 Optional extras are the 895H relief cutting tool and the 893H tool support. is a useful guide for anyone wanting to learn the fundamentals of thread chasing. 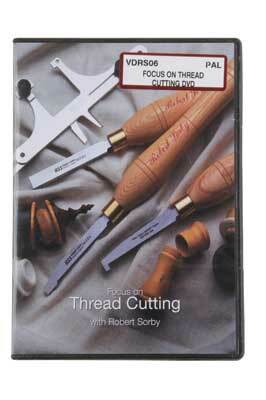 A range of in depth explanations of the range of tools available is included on the DVD. However, there are a few continuity errors, as some of the male threads showed no relief recess being cut, whereas other parts of the DVD suggested it was necessary. The DVD's explanation of how to achieve grain alignment on the lignum vitae (Guaiacum officinale) box suggested removing material from the end of the male thread, whereas taking material off either of the two mating shoulders is a much easier and more consistent way. 16tpi chasers represent a good size for learning and suit all manner of projects well. 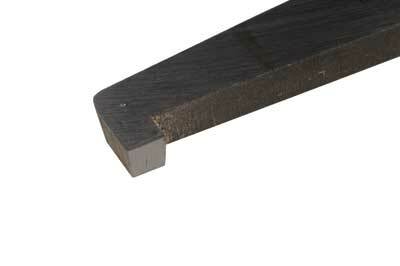 The tools are supplied handled and are made from machined rectangular bar. There are teeth cut on the end for the male chasers, or on the side with the body cut away slightly, which allows the cutter to cut properly in internal holes for the female chasers. 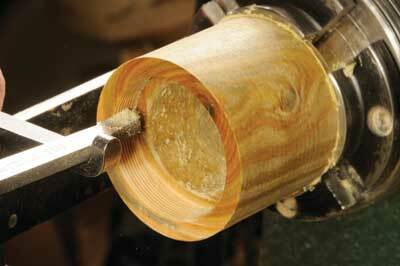 For my first test, I created a male thread on a piece of boxwood (Buxus sempervirens) using the 16tpi thread cutter. My toolrest was free from nicks and polished smooth but the cutter seemed to drag slightly. 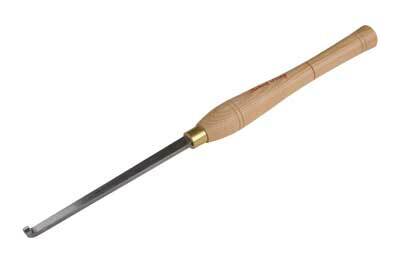 To eliminate the dragging, I removed the sharp corners on the bottom edge of the tool and this sorted the issue out. 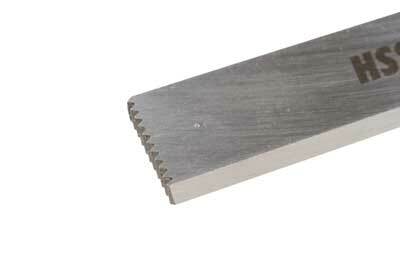 I sharpened the cutters before use on the top flat face using a flat diamond hone, and they proceeded to cut superbly. For a second test, I tried things the other way round. 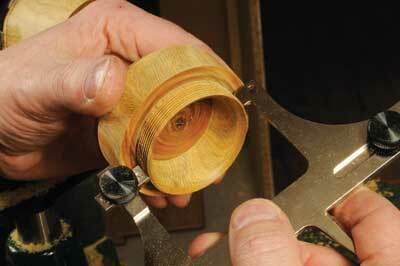 I first created a female thread on another piece of boxwood, using the 10tpi thread cutters. I noticed the sizing gauge didn't quite close when set to this pitch, and I'm not sure if this is by accident or design? After cutting the male thread, it did seem a little tight so this may have been due to the gap in the sizing gauge or it could have just been me not cutting the thread quite deep enough. However, a small adjustment had the threads running smoothly. Again, the chasers needed the corners on the lower edge rounding off, which allowed them to slide smoothly. When cutting the male thread, there were shavings coming off the tool; a good indicator of a sharp edge, and once cut, I used the accompanying thread and sizing gauge to obtain the dimension for the hole I needed to cut for the female thread. It is simply a case of selecting the correct tpi of the chasers being used on the cross piece and adjusting it so it points to the fixed offset head opposite, measuring across the threaded spigot. Simply lock it in place and then the corresponding measurement on the other pins is the hole size required for the hole to be cut and later threaded. I used the tool support along with a box hollower - a side-cut scraper would work too - to form the parallel-sided hole for the female thread, as per the size indicated on the sizing gauge. The tool support is supplied as an optional extra for use with the internal thread chaser, but it works equally as a support for hollowing tools as long as the tool overhang isn't excessive. I then checked the size of the hole with the sizing gauge; this not only allowed me to get the hole the right size with minimal trial and error, but it also enabled me to check the sides of the hole to ensure they were perfectly parallel - which is essential for an effective thread. this is versatile and can help. I made a small radius on the end of the section to be threaded and cut the internal thread with the cutter on the tool support. This allowed free access to the end of the workpiece, so I could offer up the male thread to check the fit without having to move the toolrest. The corners on the tool support didn't have sharp corners like the thread cutting tools, so they slid over the toolrest easily without having to make any modifications. Once I had cut the thread to full depth, the male and female threads mated perfectly without any need for adjusting the diameter of the female thread. This demonstrates the effectiveness of the sizing gauge. For an additional test, I thought I would try a variation on the box with the insert thread shown on the DVD. I made a hollow form and turned an insert from African blackwood (Dalbergia melanoxylon) to take a thread and a threaded finial to fit it. I struck the thread with the female thread cutter. It cut the blackwood with ease and soon I had a very nice looking thread. I then switched to the piece for the finial and cut a parallel spigot, radiused the end and proceeded to produce the matching male thread. The tool cut well and the threads were very clean and crisp. 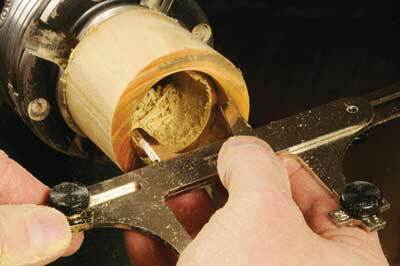 Once cut to the correct depth, the two threaded parts went together very smoothly. 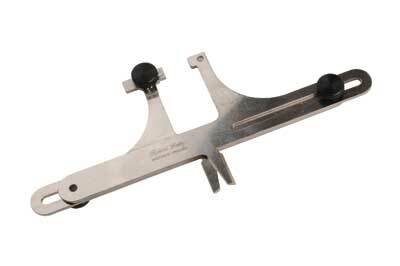 The tools are well made and felt well-balanced in use. 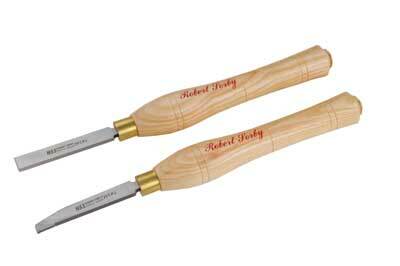 They held their edge very well and were a pleasure to use. The DVD is a useful learning tool but could probably benefit from some updating. I though that if the anvil was rectangular instead of cruciform, then it would allow the tool to work right into a corner. The current design requires the gauge to be angled to work with short spigots or the protrusion at the front can obstruct the access for the anvil in use. All in all, very nice tools indeed. I too think the tools are well made and also agree that the underside edges of the thread chasers should be softened, which would allow them to move across the toolrest easily. Three sizes are available - I tested the 20tpi chasers - and as with all chasers, they must be sharp to cut cleanly. 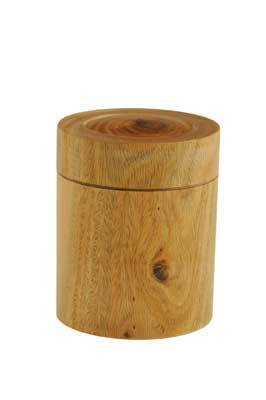 The denser and more close a grain you use, the better the results and the easier it is to cut clean threads - boxwood, blackwood and similar woods are ideal. A well thought out and comprehensive package that will serve turners well.